Help review reading comprehension and writing skills with this bundle packet of my Unit 4 Writing Prompts. Get all five for a discounted price! 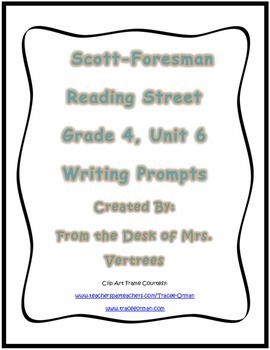 These can be used as a writing homework, a close reading activity to reinforce the weekly story, or as a graded writing assessment. Prompts focus on graphic sources, making connections, making inferences, fact/opinion, and questioning. 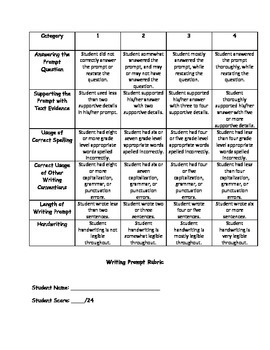 Includes a rubric for grading. Created by From the Desk of Mrs. Vertrees.